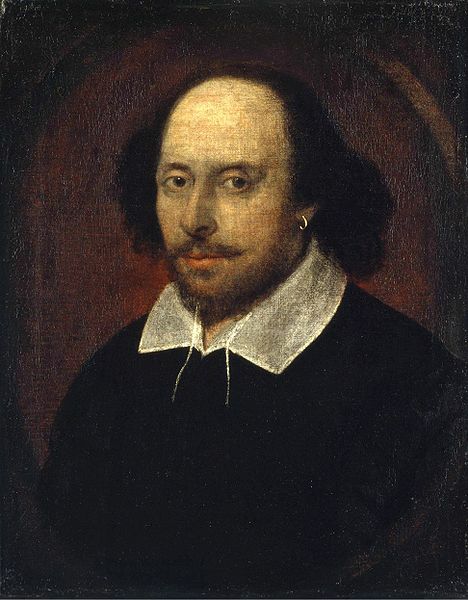 The Tragedy of Suicide – a perspective from Shakespeare. I recently saw the Royal Shakespeare Company perform “Cardenio”, which they claim is a ‘lost play’ by Shakespeare. I was struck that there were many threats of suicide, especially by the poorly treated Lucinda, who, thankfully, flees to a nunnery instead. Thus she is around for a happy ending. Psychiatrists contend that the vast majority of attempted and completed suicides are due, in part at least, to mental illness robbing people of their happy ending. Yet in many plays, suicide seems to be a great romantic or noble gesture. I wondered if it was possible to demonstrate modern methods of thinking in mental health and crisis intervention to the problems thrown up in the tragedy plays of Shakespeare. This story is not one of Shakespeare’s devising, as there were many versions of the basic story. The Chorus warns us “…Never was a story of more woe Than this of Juliet and her Romeo”. But could modern day mental health have prevented the eventual outcome of two young people ending their lives? Firstly, I would hope that herbalism of the type practised by Friar Laurence would be more strictly legislated. A potion that would bring someone so close to a death-like state, must surely be quite a dangerous one; as Juliet herself perceives, wandering if the Friar really wanted her dead. The use of such a potion would be a very dangerous cry for help, and would probably be banned or restricted, as has happened to paracetamol, where the public health approach of limiting pack size and availability is thought to have saved many lives. Poor Juliet is let down by both her religious by the friar and personal counsel from her nurse. She is forced into a marriage for political reasons. Forced marriage is illegal in the UK, and defined as where “…one or both spouses do not (or, in the case of some vulnerable adults, cannot) consent to the marriage and duress is involved. Duress can include physical, psychological, financial, sexual and emotional pressure.” Juliet would also be subject to legal protection due to her young age as “[t]he government regards forced marriage as an abuse of human rights and a form of domestic abuse and, where it affects children and young people, child abuse.” Therefore, I would hope that Juliet could have turned to the police and that they would have passed her case to the Forced Marriage Unit at the Foreign and Commonwealth Office (which helps those in the UK and abroad). If Juliet had continued down the path of taking a dodgy sleeping potion, is there any way that Romeo could have been prevented to react the way he had to the awful sight of it? Well of course electronic communication should have meant he got the message that it was all a ruse, but if it hadn’t, I hope that he would have been supported having just been convicted by the justice system. I would hope that the probation service would have been keeping an eye on him, and would have enrolled him into a suitable Offender Behaviour Programmes. For example, their most commonly delivered programme is “Enhanced Thinking Skills”, which includes impulse control, flexible thinking, social perspective taking, values and inter-personal problem solving. For this impetuous, hot headed youth, these would all be very useful things to learn, and may have helped him take a step back from the situation in hand. However, I suspect hundreds of years on, there is still some way to go in the rehabilitation of offenders for the benefit of themselves and society. From the first in Hamlet, all the other characters regard Hamlet as being mad or at the least “distracted”. But it is not a doctor that they trust can help him, but his sweetheart, Ophelia. In Act 3 Scene 1, the new King arranges a meeting between Hamlet and Ophelia as if by accident, and the queen tells Ophelia “I hope your virtues Will bring him to his wonted way again”. But when Hamlet appears and gives his speech, it is clear his is not in a mood to be comforted. He denies he has ever loved her, talks in riddles, and tells her “To a nunnery, go, and quickly too.” She is most alarmed, comparing his reasoning to “sweet bells jangled, out of tune and harsh”, and she feels “deject and wretched”. If Ophelia had the opportunity to discuss this with a modern doctor and refer Hamlet for some help, he may well have been seen by an Early Intervention project. These are teams specialising in assessment and management of young people experiencing psychosis for the first time. They usually consist of psychiatrists, psychotherapists, community psychiatric nurses, social workers and occupational / vocational therapists. They are geared towards helping people developing schizophrenia, but will often take on people with psychotic depression or even complicated grief reactions such as Hamlet is likely to have been experiencing. Among the useful things they would have done would be to: support the carers, especially Ophelia; do a risk assessment that would have thrown up the easy access to daggers and swords; and put in place a structure to help Hamlet get back to University as soon as he was able – since idling around in such a morbid castle could not have been doing Hamlet much good. While in turmoil, paranoid and disillusioned, Hamlet kills a figure he believes to be his father’s killer, but is in fact Ophelia’s father. Ophelia then becomes deranged in her grief, feigning indifference and singing bawdy songs. It is in these circumstances she drowns in a muddy brook, despite the new King having recognised the danger and asked of Horatio “Follow her close; give her good watch, I pray you.” I would hope that today, someone might have taken Ophelia to the local A&E department or walk-in clinic where she could be assessed by a psychiatric liaison nurse, perhaps referred for a short hospital admission or given support at home by the crisis team and some Valium, or perhaps just be given the opportunity to talk. In the next few days, she may also seek help from Victim Support if the murder of her father is officially reported. They allocate a caseworker to each family bereaved through homicide and tailor support to people’s differing needs, and this can extend over several years if needed. There are specific services for children, and the crime doesn’t need to be reported for children to call the supportline and speak to someone in confidence about the aftermath of a crime. While sleep deprivation appears to put Lady Macbeth on edge, it seems to numb Macbeth, who becomes inoculated against terror so much he declares “I am in blood Stepped so far that, should I wade no more, Returning were as tedious as go o’er.” Lady Macbeth continues her disintegration with sleepwalking and muttering of unnatural events and apparitions. She ends her life shortly after. Her husband is so numb as to make when of the bleakest statements in Shakespeare in Act 5 Scene 5: “She should have died hereafter; There would have been a time for such a word”. It is a sentiment that seems all too true when thinking about someone’s suicide – they died too early. One organisation set up to prevent the loss of life, and also indirectly the grief of others, from suicide is the Samaritans. The Samaritans is a charity based in the United Kingdom that was started from a single phone in 1953 and in 2009 made over 5 million contacts with people by telephone, email, SMS, minicom, Typetalk, letter or face to face. The phone lines are open seven days a week, 24 hours a day, as they know that people can find night can a very unsettling time, as did Lady Macbeth. According to 2009 figures, most people are distressed when they called the Samaritans, 19% of people were suicidal, and 0.6% had already endangered their life when they called. The Samaritans strategy is to take a lead reducing suicide by engaging individuals and groups at risk of suicide, offering effective and acceptable responses which reduce their level of risk. One of these groups is offenders such as Lady Macbeth, as suicide is seven times more common among the prison population. They train prisoners to be ‘listeners’: a confidential, non-judgemental presence that can support those experiencing distress and despair. This play, set in Ancient Britain, owes much to the tradition of Greek drama. It is both a domestic drama on the nature of the relationship between fathers and children, and a public drama, dealing as it does with a King and the succession. The Tragedy of King Lear actually has an averted suicide in Act 4 Scene 6. The Earl of Gloucester has been loyal to the King, but is horribly tortured for this. He is tied down, treated like a thief, yanked by his beard, and then his eyes are gouged out. When he is finally allowed to go to Dover, it is in order to go to the highest cliff and “repair the misery”. He shows hopelessness and helplessness, proclaiming “As flies to wanton boys are we to the gods; They kill us for their sport” (4.1.37–38). But his guide to Dover is his own son, disguised, and he tricks him into thinking he is at the top of a cliff when he is actually on the flat. Thus when he survives the leap, his son is able to tell him it was a miracle he was saved. He even goes so far as to say that he had seen the devil with Gloucester before he leapt. Here, he is externalising the suicidal urge and it works very well. Gloucester says he now will “bear Affliction” more patiently and speaks of the “fiend” that brought him to the cliff. Sometimes people more unfamiliar with mental health can feel it is futile to save someone when they have determined to kill themselves, but this is not the case, and follow-up studies of those who have attempted suicide and failed show that the vast majority do not try again in the following years (for example, Tidemalm et al. Risk of suicide after suicide attempt according to coexisting psychiatric disorder BMJ 2008). The most important thing to be done for these people is help for any major mental illness and support, be it psychotherapy or generic. In order to do this, it is essential to ask people who have “accidents” or harm themselves about depression and suicidal urges so that they can get the support they need. The one person who actually does kill themselves in this play, the King’s daughter Goneril, is such a foul character that it is hard to have sympathy enough to wish to save her. But in fact, she is only ever exploiting the situation that comes around through her father’s “madness”, which is the real villain of the piece. Whether Lear is mad or vain, and if mad, whether it is dementia (“the infirmity of his age” as Regan would put it), I won’t try to determine: there has definitely been a change. Regan, Goneril and Kent all express surprise as his treatment of Cordelia as he cuts her off, and they all blame this on his current state of mind. Inheritance can be an issue for families today. Often, a member of the family will take over managing the affairs of one who is not capable of the judgement needed to do so themselves. But the instruction for this must be made when they were still capable of nominating such a person. What happens if, as in this case, it is not until the decisions are made (or fail to be made) that it is clear that someone’s judgement was clouded? And if even when told, they lacked the insight to know they were doing the wrong thing? We would class these people as “vulnerable adults” in that they need help and protection from the law and statutory authorities. The Mental Capacity Act 2005 (MCA) clarified the law around people who lacked the capacity to make decisions. Someone is lacking in capacity if they cannot do any one of: understand the nature of the decision; retain the information for long enough to make a decision; weigh and balance the information to make a decision; or communicate the decision. The Earl of Kent shows himself to be Lear’s most loyal advisor. If he felt that the Lear lacked capacity, he could have referred his estate to the Court of Protection, which is a body set up by the MCA. The court can make decisions or appoint someone to make decisions in the categories of ‘property and affairs’ and ‘healthcare and personal welfare’. It can be a little complicated – there are up to ten long forms to fill out to make a referral. One way to get assistance with his is through a “memory clinic”. This is a community mental health team formed exclusively to assess, advise and manage people with suspected dementia. With Lear, I would hope the first thing to be done would be to rule out an acute medical illness causing a fluctuating confusion (i.e. delirium). We have seen that there are a number of deaths in Shakespeare tragedies our society might view as preventable. Public health measures against suicide and poisoning may have helped Juliet, and her Romeo might have been helped by offender rehabilitation. Treatment for mental health or emotional problems might have helped Hamlet and Lady Macbeth. An integrated approach to assessing and managing cognitive decline may have helped King Lear and his family. Better support for victims of crime and carers of people with mental health problems may have helped Hamlet’s Ophelia, and many of the other characters in Shakespeare’s tragedies. These priorities, of reducing means of suicide and supporting those most at risk – those at the margins of society, with mental illnesses, offenders and victims of crime, the young and impulsive, the old and in pain – still ring true today. That is one of the attractions of Shakespeare plays. But we must beware of romanticising suicide as Shakespeare can do, and instead think of every one as an avoidable tragedy.